Archana Masih and photographer Rajesh Karkera visit the house in Allahabad where Amitabh Bachchan lived many, many years before he became THE SUPERSTAR. 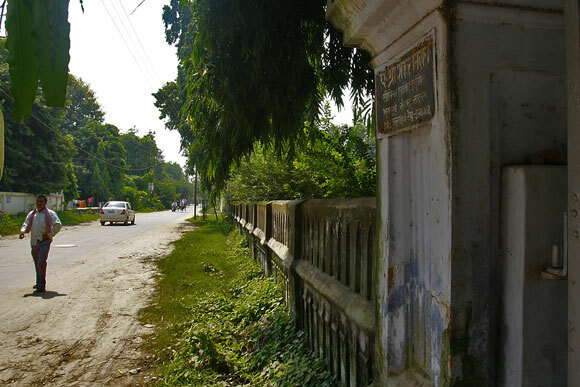 'Beware of Dogs,' says the board on the gate in Hindi to 17, Clive Road, Allahabad, where Amitabh Bachchan once lived. 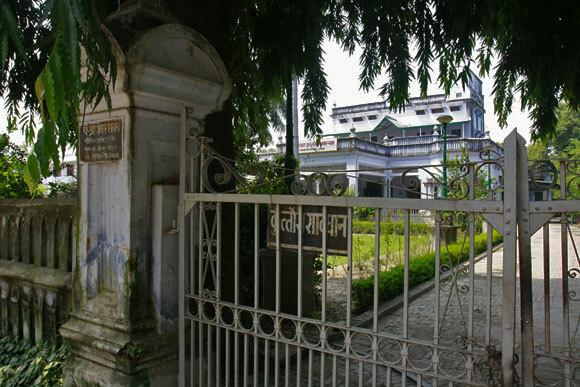 The bungalow is quiet as we tentatively push the gate to make our way in, walking past a lawn where Mr Bachchan may have spent many happy moments as a school boy when his parents Teji and Harivansh Rai Bachchan, had lived in a part of the bungalow as tenants. No dogs can be seen. No bark can be heard. A man in the portico informs us that no one lives there anymore and whatever information we want we need to get it from the folks who live in the bungalow next door. Clive Road is a quiet street, where some old bungalows remain. Close to the bungalow where Mr Bachchan grew up as a school boy is a school where children are trooping in. Advocate Krishna Kumar, Panday, the neighbour whom we are sent to, does not appear at first pleased to see us. 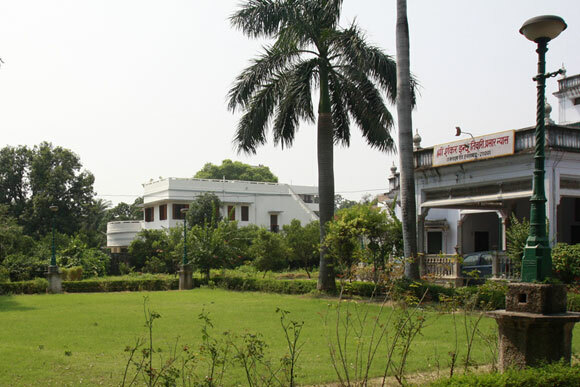 "Amitabh Bachchan used to live here many years ago. This bungalow belongs to Tiwariji who is no more. It is now an educational trust. You can't go in there or take any photographs, you can click from outside the gate if you wish." says the advocate, one of the trustees. That 17, Clive Road is very dear to Mr Bachchan is evident from his blog posts. He mentions on his blog how he had wanted to buy the bungalow, but the owner, who held his father, the legendary poet Harivansh Rai Bachchan, in great regard, did not want to sell it. Mr Bachchan drew comfort from the thought that the bungalow was well maintained. The morning we peeked onto its front lawns, the bungalow looked sombre, and decently maintained. 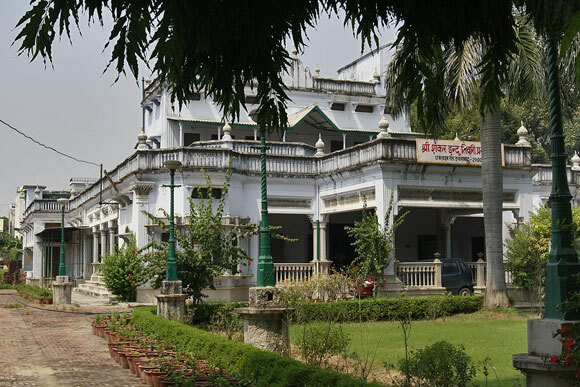 'My father's study in Allahabad at 17, Clive Road had 10 openings -- four doors, three windows, and three skylights. It is amazing how things of the past, and this is almost 60 years ago, remain remembered, for, I just counted the openings through my own memory of them this very minute,' Mr Bachchan wrote on his blog. Memories of a childhood home remain vivid and everlasting and so it is for one of world cinema's greatest superstars ever. Mr Bachchan captures those memories eloquently -- even mentioning how he first met the amazing Zohra Sehgal, now 100 years old and the actor who played his mum in Balki's Cheeni Kum -- for the first time at 17, Clive Road, when she came as part of a performing dramatic ensemble. 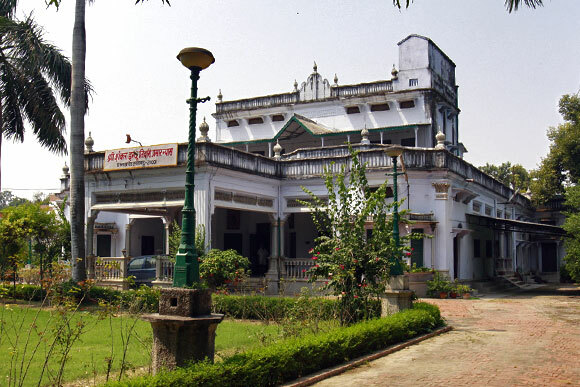 On his father's passing, before Harivansh Rai Bachchan's ashes were immersed in the Sangam, the confluence of the Ganga-Jamuna-and-the-mythical Saraswati, the urn was reportedly kept at 17, Clive Road -- and also at Muthiganj, the other house the Bachchans had lived in earlier. Harivansh Rai Bachchan was a professor of English at Allahabad University. His son studied at the Boys High School in the city before going to Sherwood College in Nainital. He was born in Allahabad on October 11, 1942 and was first named Inquilab, in the year Mahatma Gandhi -- who was a frequent visitor to Anand Bhavan, the Nehru family home in Allahabad -- launched the Quit India Movement. Advocate Panday, the trustee-and-next-door-resident, says it is a matter of pride that Mr Bachchan lived here, but the house does not have any association with him anymore. 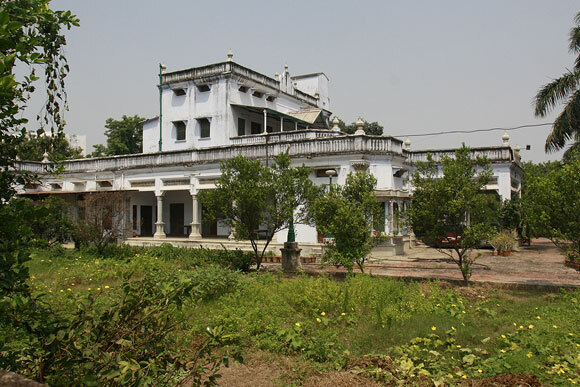 He also mentions some unpleasantness about the 17, Clive Road bungalow some years ago when it was cited as Mr Bachchan's address for the allotment of farm land in Barabanki district. Mr Bachchan subsequently abandoned his claim to the Barabanki land and the courts gave him a clean chit in the case. The two gates on 17, Clive Road bear the name of Advocate S S Tewari. What is missing is a plaque that should read: 'Amitabh Bachchan lived here before he became India's greatest movie star'. When Amitabh almost gave up acting!